This book presents a damning indictment. But the situation is far from hopeless. With increased democratic participation as their guide, Page and Gilens lay out a set of proposals that would boost citizen participation, curb the power of money, and democratize the House and Senate. The only certainty is that inaction is not an option. Now is the time to act to restore and extend American democracy. "Provocative suggestions for how to revive democratic practices through citizen action and institutional reform alike." "If you are looking for ways to join the reform effort, reading this important book is a useful start." "What an accomplishment! The book is crystal clear, cogent, and builds beautifully on Page and Gilens's vital contributions over many years on influence and power in the US political system. A wonderful and important book, backed by very important and cutting-edge research. I will recommend it widely." "Brilliant, indispensable, and highly accessible." "There is an urgency to the project of repairing America’s democracy. This book is the most important contribution so far. Powerful, comprehensive and original, it gives every American hope and a map--which is all this democracy has ever needed." 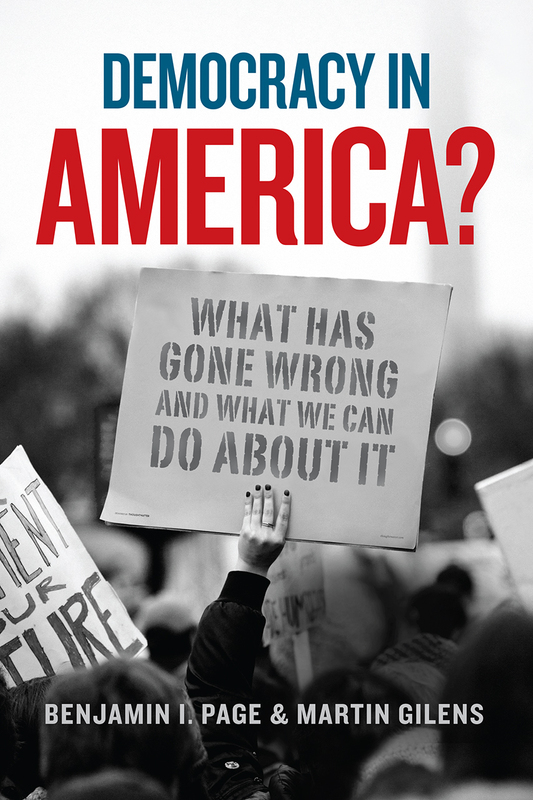 "In this important and riveting book, Benjamin Page and Martin Gilens reveal why America has failed to help those who have fallen behind and allowed inequality to explode. The solution isn't to redistribute wealth from the have-mores to the have-lesses. It’s to redistribute political power to everyone. A must-read for anyone who cares about the future of America." "Our democracy is in crisis. This clear-eyed, thoughtful, and accessible book offers a roadmap for challenging the political power of the wealthiest Americans and corporate interests. Only a broad and persistent social movement, it argues, can make our government responsive to average Americans. A welcome and important work."